Why are Solicitors Against Raising the Small Claims Limit? Kevin Donoghue, Solicitor Director of Donoghue Solicitors explains why solicitors are opposed to an increase in the small claims limit. I recently wrote to my local MP, Peter Dowd, and Louise Ellman, MP (the MP for Liverpool Riverside, where Donoghue Solicitors is based) to ask them to consider the Government’s proposed reforms of the accident claims process, and in particular, raising the small claims limit. Kevin Donoghue of Donoghue Solicitors explains why solicitors are against an increase in the small claims limit in a letter to an MP. As an Association of Personal Injury Lawyers (‘APIL’) Senior Litigator, who runs an APIL corporate accredited practice, I represent many innocent accident claims victims. I am deeply concerned by the potential impact of the changes. Change the law by preventing people from claiming compensation for soft tissues injuries (such as “whiplash”) in road traffic accidents. What is the Small Claims Limit in England and Wales? The small claims limit is a money value placed on contested civil claims when proceedings are issued at County Court. With accident claims in England and Wales, if the personal injury element is worth less than the current small claims limit of £1,000 the case will usually be assigned to the small claims track. (There are exceptions, e.g., for complex cases, and sometimes claims worth more than £1,000 will get allocated to the small claims track.). When a case is allocated to the small claims track it means that the Court considers the matter to be of low value and/or straightforward. Either way, in the Court’s opinion, solicitors are not required unless the parties want to pay privately. Consequently very limited costs or expenses are payable. As a result, most people bringing small claims represent themselves as Litigants in Person. I disagree that personal injury accident claims are suitable for the small claims track. They are complex matters that require expert legal help to identify the issues, prepare evidence, and recover appropriate compensation to put the Claimant in the pre-accident position. Already Litigants in Person are at a huge disadvantage in small claims because Defendants in accident claims are usually insured. Insurers routinely fight small claims using expert solicitors and barristers. As a result, the scales of justice weigh heavily in their favour. More innocent accident victims will lose out if the Government raises the small claims limit. If implemented these proposals are likely to have devastating consequences for innocent accident claims victims, people involved in the legal profession, and the UK economy. Only insurers and their shareholders will benefit. For now though, I’m not interested in a PR battle over mere words. These proposed changes to the small claims limit are so significant for concrete reasons that I hope our politicians stand up and fight. We are all relying on them. I am writing to you as a solicitor who specialises in compensation claims, a small-business owner, and employer, to urge you to make representations to the Justice Secretary. I believe that the Government ‘s plan to increase the small claims court limit to £5,000 for people injured through no fault of their own – and to abolish recompense altogether for almost all those who have suffered soft tissue injuries in road accidents, is wrong. I am sure you have read and heard the insurance lobby and government talk about the (non-existent) “compensation culture” and “fat cat lawyers”. I am not going to waste your time refuting that unsubstantiated nonsense. Instead, I invite you to consider the impact of these proposals from an economic perspective both nationally and locally. the Treasury is likely to lose in excess of £1billion from lower recovery of welfare benefits paid to the DWP from successful claims, and loss of VAT, Income Tax and Corporation Tax from the demise of law firms, their suppliers and contractors, as thousands of lawyers and their hard working staff lose their employment and end up on state benefits. Liverpool will be disproportionately impacted by these proposals. The city is a legal powerhouse with firms of all sizes employing people involved in compensation claims work. 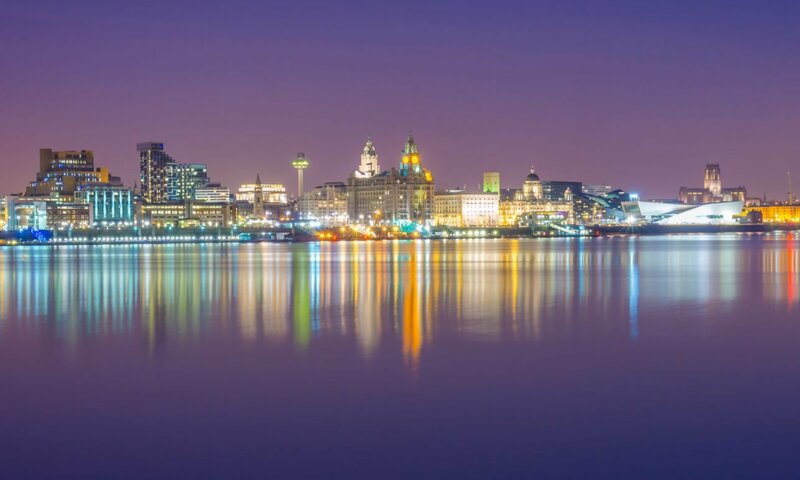 Liverpool’s law firms contribute to the local and national economy through taxation, jobs, and spending. It has a thriving support sector of IT, telecommunications, marketing professionals etc. Law firms like mine occupy prime real estate in the city, which encourages development and generates business rates for Liverpool City Council. The compensation claims legal sector is already struggling. Many firms have gone “to the wall” since the Legal Aid, Sentencing and Punishment of Offenders Act (2012) (“LASPO”) came into force in 2013. The impact of that, and the current proposals, continues to take its toll on firms of all sizes. Last week the AA pulled out of the personal injury claims business. One of the country’s biggest law firms, Slater and Gordon, recently announced redundancies. Closer to home, Water Street-based PCJ Solicitors, which posted a turnover of £5.5million in its 2014 accounts, entered administration on 19 November 2015. The firm will leave unsecured creditors hundreds of thousands of pounds out of pocket. The Government’s proposals will accelerate the sector’s collapse and threaten the continued existence of many more law firms and support businesses. The proposals will also affect the budget of the already-stretched court service. Court fee increases have risen dramatically over recent years, particularly in civil litigation, which including personal injury compensation claims. Claimants are often unwilling or unable to pay the fees, leaving their solicitors to cover the costs while litigation progresses. If solicitors are no longer involved to fund court fees the Government will be forced to take money from elsewhere, and/ or close courts leading to more redundancies. Whilst a limited increase in the small claims threshold is appropriate (inflation would suggest the correct higher figure would be £2,000), the current proposals will result in injustice to ordinary honest people whilst creating excessive profits for insurance companies; and even more so, if the injured are banned altogether from receiving anything at all for their suffering and losses. It is estimated that 85% of injured people will be denied legal representation. They will be left alone to face an unfair battle against powerful insurance companies. Most will not even bother; or will be exploited by claims management companies. Others will accept woefully inadequate offers to avoid the stress of the Small Claims Court. My own firm is typical in that we help people locally and throughout England and Wales. Compensation recovered by innocent victims directly impacts on the local and national economy through spending on essential items (like medical care and aids) and discretionary spending (e.g. buying a newer car after a road traffic accident). Failing to recover any compensation, or under-settling, will have serious ripple effects in the wider economy. The Government say its proposals will reduce “fraud”. However, the evidence does not support this argument; and the Government has already introduced a long series of measures to deal with this anyway. Savings can only come from denying people the compensation to which they are rightfully entitled. The Government’s proposals will codify this. The insurers claim savings would be passed on to policy holders. However, they’ve said this many times before (for example, during the discussions about LASPO) – and each time failed to meet their promise. The Government have made clear they will not “police” this, either. Despite the insurers’ promises car insurance premiums have increased 9.2% in the 12 months to the end of September 2015, taking the average cost of a comprehensive policy to £569. The insurance industry’s own Association of British Insurers (ABI) figures show that their costs of recompensing those hurt by their policy holders have fallen 29% since 2010. The amount paid out annually by motor insurers fell from £8.3 billion to £5.89 billion last year – a decrease of £2.41 billion. Yet savings from this multi-billion pound windfall have not been passed on. In fact, this huge sum has gone to inflate the insurance industry’s profits instead. For example, Direct Line and Admiral have between them paid out £1.65 billion in dividends in the last three years – equivalent to £221 for each of their policy holders. Innocent accident victims, the city of Liverpool, and the wider UK economy, should not be made to pay for the Government’s wrong-headed plan. I would welcome the opportunity of discussing these issues with you. Previous PostPrevious Merry Christmas from Donoghue Solicitors! Next PostNext Do Taser Assault Victims Suffer Miscarriages of Justice?